Click the button below to add the Giant Reign Advanced 1 (2017) to your wish list. 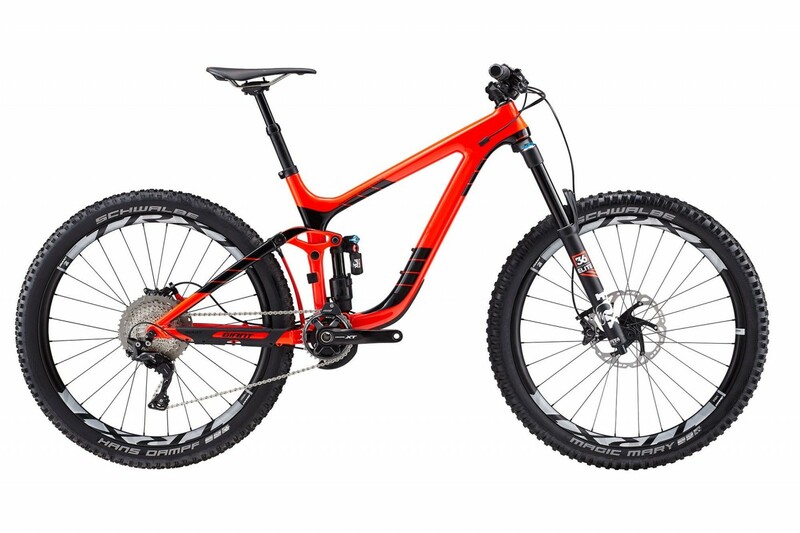 Built for and tested by Giant Factory Off-Road Team pros including enduro slayer Yoann Barelli, this all-mountain machine mates a lightweight, stiff and sharp-handling Advanced-grade composite mainframe with 160mm of smooth Maestro Suspension. The frame was engineered specifically for its 27.5 wheels, giving you confidence, control and speed on the roughest trails. It’s strong enough to handle aggressive terrain and efficient enough to float up steep climbs. Stable geometry, a tapered OverDrive steerer tube design and air or oil compatible shock mounts make Reign Advanced the king of enduro.